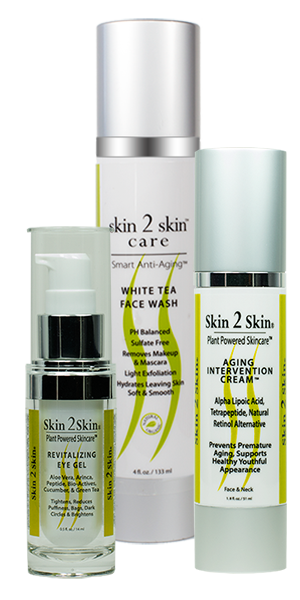 Hydrate and condition your skin while you pamper yourself with our at-home facial using Skin 2 Skin® care’s refreshing sulfate free, skin conditioning, anti-oxidant and skin nutritional packed daily hydrating White Tea Face Wash and sulfate free hydrating AB-HA Exfoliating Cleanser four times a week. 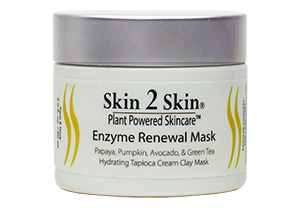 Cleansing and exfoliating is an essential part of any at-home anti-aging skin care regime vital to brighter younger looking skin, longer. Face, neck, décolletage (chest), shoulders and back of hands in the shower, 2 fl oz / 60ml approximately 3 month supply. 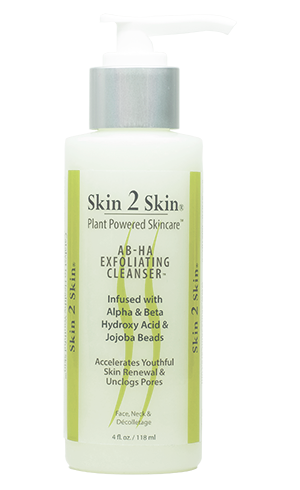 For more information on AB-HA Exfoliating Cleanser click hear. Dampen area to be cleansed including eye area with warm water (never ever HOT) apply two to three pumps of the White Tea Face Wash cleans area for 60 seconds using a soft touch. Once daily or four times a week ether AM or PM use the AB-HA Exfoliating Cleanser. Dampen area to be exfoliated with warm water apply one to two pumps to area, avoiding eyes. Using a light touch rotating massaging cleansing technique for no less than 60 seconds for each area. Let rest for another 60 seconds for maximum results and rinse off with warm water making sure you remove all exfoliating jojoba particles. No not use any scrubs on your eyes the skin is to delicate. Removes makeup as you exfoliate. Recommend that this is done in the shower and if so use on neck, décolletage (chest), shoulders and back of hands same amazing results.